Two had been cracked. I took two and tried to check them, and these are some of the hidden eggs from our chooks. Our five hens have not laid their regular number five-six eggs per day for the past two months. Business has slowed. Usually, my son collected any extras and sold these to my work colleagues for $6 per dozen. We bought the chickens from our local produce store to have our own free range eggs. The egg supply was timed right to the hour for several months. The ‘chook pen’ as we call it in Australia, was completed with all chicken-amenities, the food, water and laying nests. Each day, we let the chooks out to wander freely on the 2.5 acres with other wild life. Each evening the chickens, six hens and a rooster, made their own way back to the pen. We kept the pen fully surrounded with fish-net and, with the door shut at night to keep out snakes, wild cats and foxes. Two months ago, one of the hens died. She became extremely tired and sleepy one Sunday; our local vet’s surgery was closed so I took the hen inside our house. I wrapped her in a towel and kept her warm and hand-fed her. I could see from her reaction, or lack of it that eating and drinking were too much of an effort for her. I monitored her behaviour, which was mostly heavy breathing, throughout the night. About 7am the next day, while nursing the chook, she gave her strongest performance. She kicked and she tried to stand up and open her eyes, only to fall back and die in my hands. I cried. Then, while I watched while my son bury the hen, I realised, my own efforts had not amounted to anything and I still did not understand what the hen died of. It was heart-breaking. Since the death of one hen, the rest of the hens stopped laying. Over the weeks, I told my work colleagues we did not have any spare free range eggs. The orders were piling up and this news did not go down well with the egg customers. They loved the eggs because they said, our chickens laid larger and more delicious eggs then the shop eggs. I had also thought the chickens had stopped laying because they were mourning the dead chicken. After a few weeks, our family resigned to the fact that we would only get two eggs each day if we were lucky. This number decreased to – two eggs every other day. A week ago my 16-year-old son found one egg in his tool box. Amongst the hammer, screw drivers and spanner with oiled nuts and bolts, the egg was near an old Honda classic motorbike my son had been restoring. We all had a good laugh about this egg discovery. We looked around the yard, but did not find any more eggs. The unsuspected nesting place, the inside corner of the couch. We pass this couch several times each day but no-one knew the eggs were laid there. 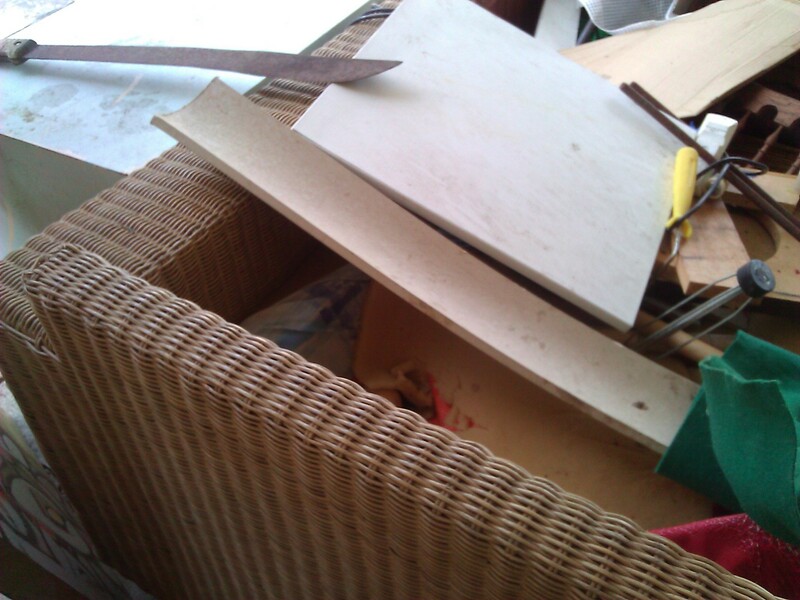 Today, as I was cleaning the house and moving re-cycled garbage to the car port, I made another discovery. 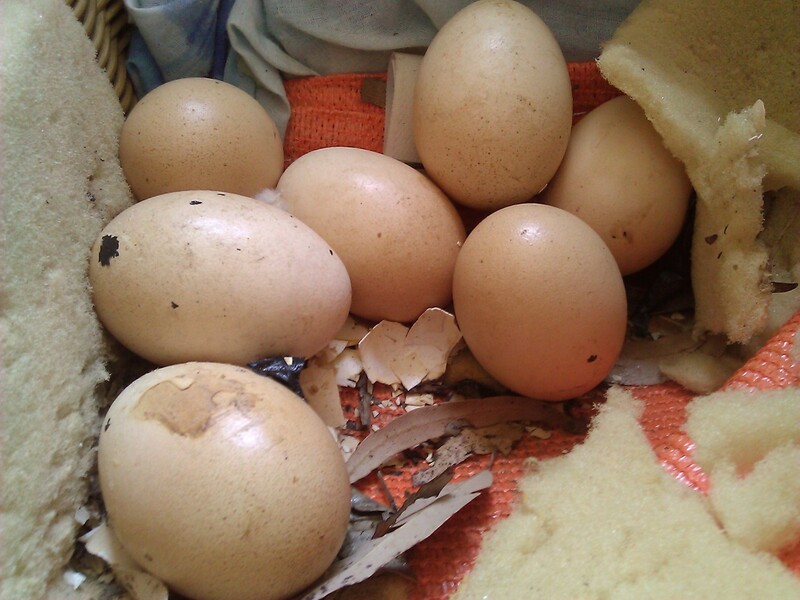 Almost a dozen eggs were piled in a corner of an old cane couch we left in the car port. We walk pass this couch every day, to get to the front door of the house. No-one had ever thought of checking here. The mystery of the missing eggs was solved, but what do I do with these eggs? I don’t know how old they are? I had initially thought when I discovered these eggs that the hens must be wanting to hatch the eggs into babies – but how do we know for sure what the ‘chooks’ are thinking? A lovely story and intruiging mystery that made me smile. Clever little things, hens! Hahaha – yes, they’re funny Millie.